London’s congestion charge and Oyster card system – two key achievements of former Mayor Ken Livingstone – have helped lead a modal shift from car usage to public and active transport. Photo by Jimmy Baikovicius/Flickr. This is the fifth entry in the Urbanism Hall of Fame series, exclusive to TheCityFix. This series is intended to inform people about the leading paradigms surrounding sustainable transport and urban planning and the thinkers behind them. By presenting their many stories, TheCityFix seeks to challenge our readers to think carefully about what defines leadership and innovation in sustainable transport and urban development. Ken Livingstone – who became the first Mayor of London after the creation of the Greater London Authority in 2000 – implemented two key policies that transformed the future of urban mobility in London and for cities worldwide: a congestion charging scheme and the city’s Oyster card. These two policies punctuate a long list of Livingstone’s achievements in advancing sustainable transport and urban development during his two terms as mayor. These achievements include pedestrianizing public spaces, improving bus services, redeveloping transit hubs, and much more. His legacy in sustainable mobility has undeniably influenced cities worldwide. Livingstone had a long political career as a member of the Labour Party. In 1981, he helped engineer a leftist takeover of the Greater London Council (GLC), which he led from 1981 until it was abolished by Margaret Thatcher’s conservative government in 1986. As a far-left member of the Labour party, he faced opposition not only from conservatives and the mainstream media, but also from centrist Labour leaders. After losing the Labour party’s primary for mayor, Livingstone successfully ran as an independent candidate in what was considered the biggest political gamble of his career. His platform included his “Fair Fares” policy, which prioritized affordable transit and the introduction of a £5 (US$ 8) congestion charge to access downtown London. He was re-elected in 2004 with a platform that included the extension of the congestion charge zone and a bid for London to host the summer Olympics. He won the bid in 2005 and used the Olympics as an opportunity to redevelop London’s East End. In 2008, Livingstone lost his second re-election attempt to Boris Johnson. Livingstone ran again in 2012, and was defeated by incumbent Johnson by a narrow margin. He is still politically active and provides commentary on national and local politics. Recommendations for congestion charging in London date back to 1964, and it took 40 years for these proposals to become reality. Though academic evidence clearly justified this approach, its implementation would not have been possible without Livingstone’s strong political leadership. Singapore introduced congestion pricing in 1975 under Lew Kwan Yew, a previous entrant in TheCityFix’s Urbanism Hall of Fame. Unlike in Singapore, London’s congestion charge was the result of a democratic vote. It thus underwent significant preparation and public consultation and only became operational in February 2003, three years after the start of Livingstone’s mandate. Mayor Livingstone expanded the congestion charge area in his second term, though this resulted in protests and legal challenges. Boris Johnson – later elected mayor – campaigned on reducing the size of the congestion charging zone, which finally occurred in 2010. Despite the size reduction, the zone is still one of the largest congestion charging areas in the world and has led to a wide range of sustainable mobility benefits. In the first six months after the congestion charge was implemented, the number of non-exempt cars entering the central zone dropped by 30%. The charge also improved air quality, and led to a dramatic increase in the number of people using sustainable modes of transport such as buses, bicycling, and walking. For example, bicycling increased by 20% in the congestion zone in the year following its implementation. London’s congestion charge has been replicated in cities such as Stockholm, Copenhagen, Milan, and Valetta. Other cities, including Manchester, New York and Bogotá, have proposed but not yet implemented congestion pricing. In 2003, under Livingstone’s leadership, London introduced a streamlined way to pay for fares: the Oyster card, which provides a multi-operator, multi-mode, smart integrated ticketing system. It is currently accepted for all Transport for London (TfL) train and bus services within the city, and is used for 83% of all trips. According to TfL, the use of such a system prevents bottlenecks that limit rail ridership, and fast boarding times reduce the necessary bus fleet sizes and raise the appeal of buses as compared to cars. The system has also reduced revenue lost due to ticket fraud. Though the Oyster card system can be improved – its cost is high and customer experience is far from perfect – it was one of the first large-scale fare integration efforts using advanced technologies and has served as an example for several transit systems around the world. Livingstone’s work implementing sustainable urbanism and mobility goes beyond the congestion charge and Oyster card. 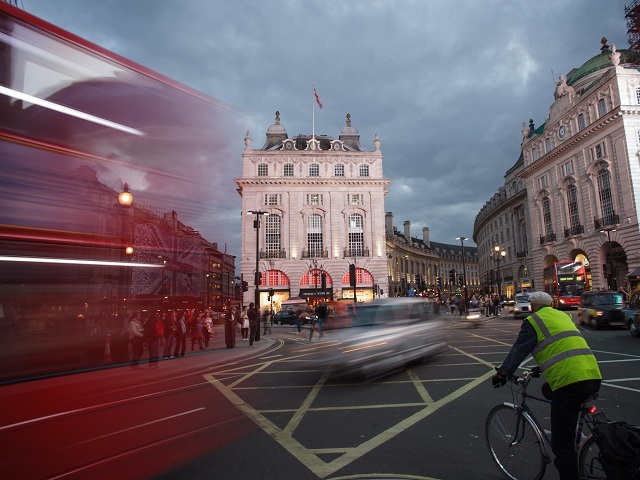 He also created extensive pedestrianized spaces – such as the iconic Trafalgar Square – and implemented the United Kingdom’s first Low Emission Zone in 2008, which charges heavy commercial vehicles for entering the greater London area. Further, under his leadership, TfL enhanced transit service provision by replacing bus fleets, creating bus priority lanes, improving user information systems, and making large capital improvements in transit hubs. Due to its achievements under Livingstone, London received the 2008 Sustainable Transport Award along with Paris, France.